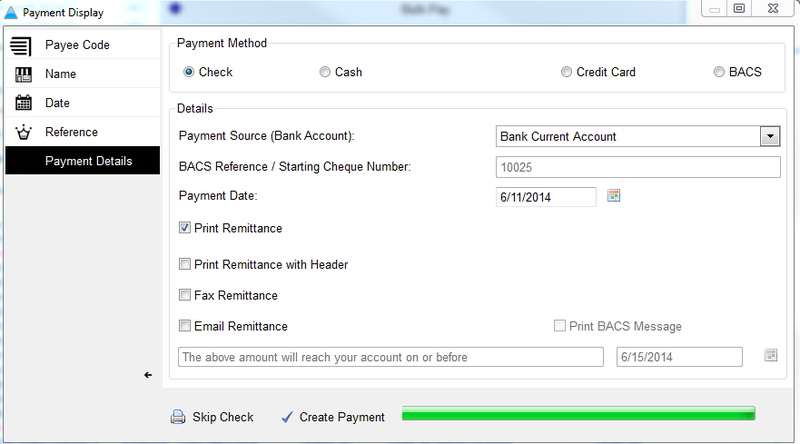 Click yes to authorize all payments or chose up to a date- this is commonly used when bulk authorizing only invoices that are due for payment. 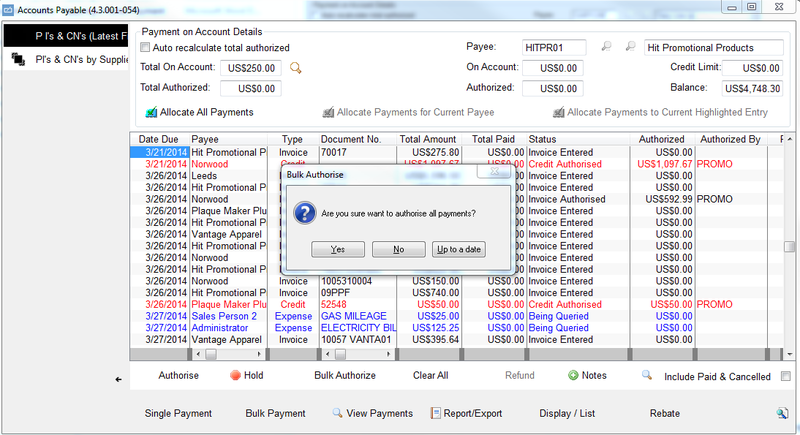 NOTE- selecting 'Yes' will bulk authorize every single outstanding Purchase Invoice in your system. 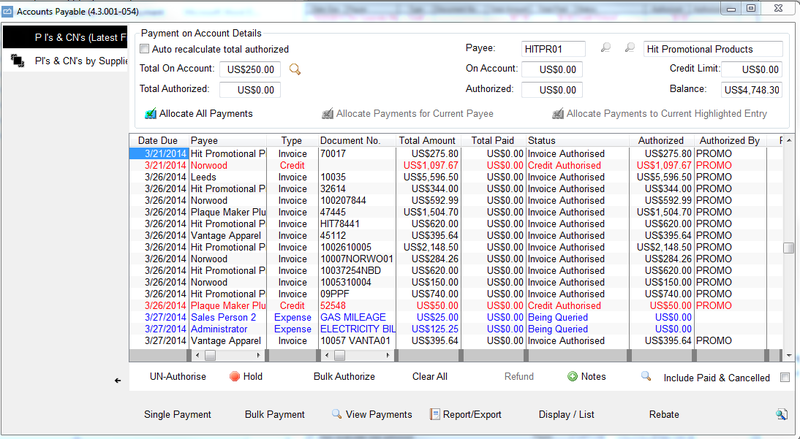 The status reverts to 'Invoice Entered.' 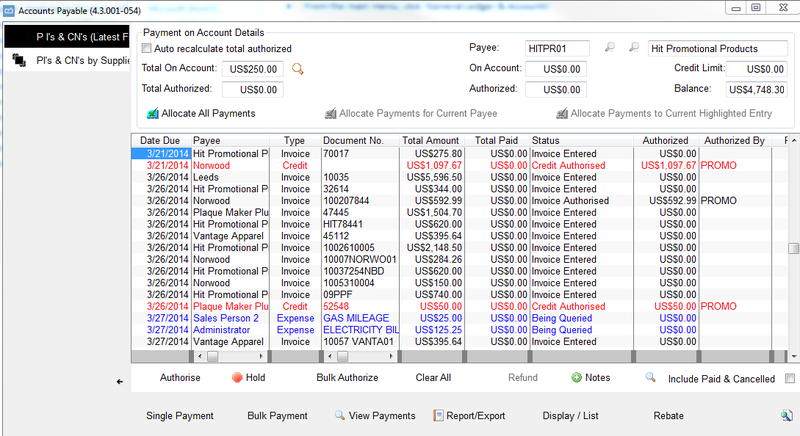 Click 'Bulk Payment' to pay all authorized invoices. 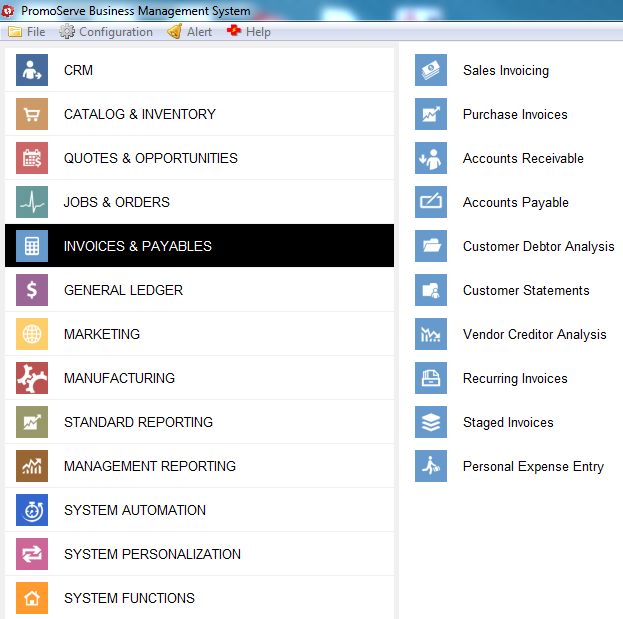 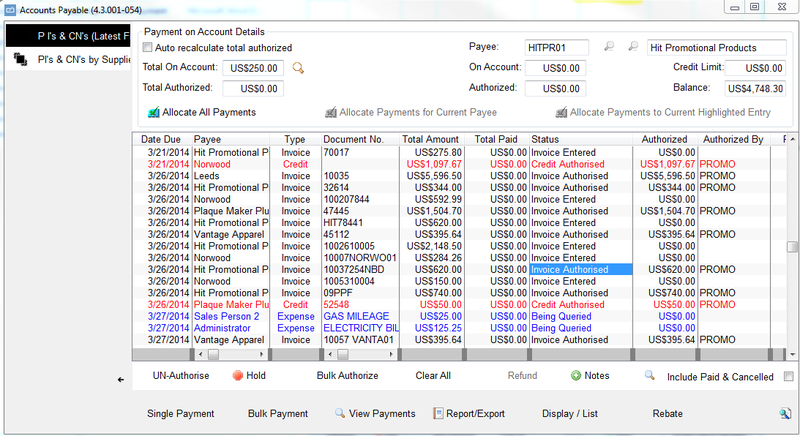 All invoices authorized for payments populate. 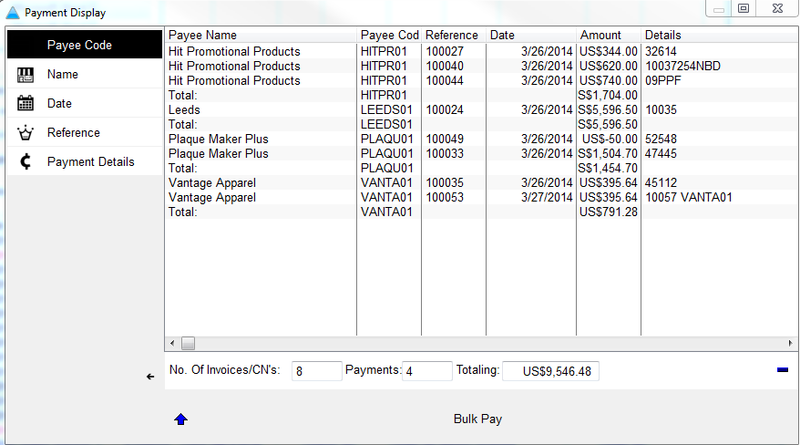 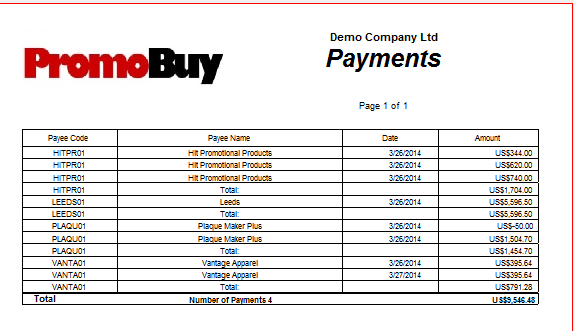 Click 'Bulk Pay,' or tab to 'Payment Details' to select the payment method (Check), and input reference/payment date.